Worried how your wiggleworm will learn to write his letters? Let a fat juicy caterpillar or smiling snowflake teach him. 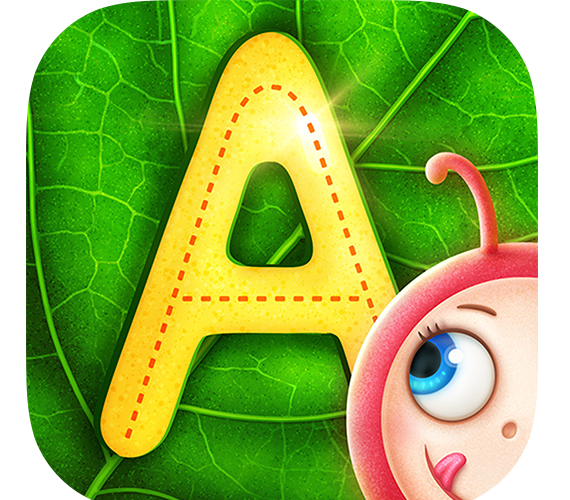 Yum Yum Letters gives kids a gentle introduction to handwriting. 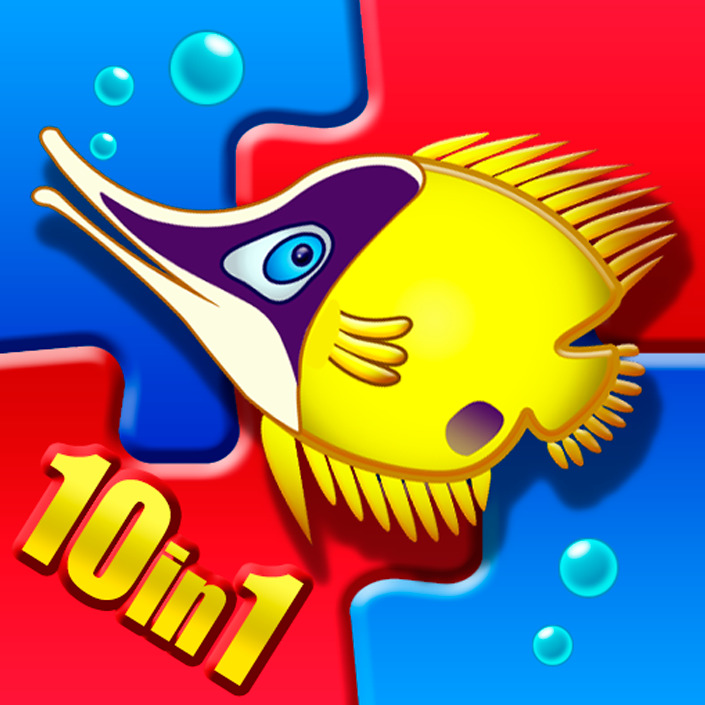 This “smart” app is so cheery and full of positive reinforcement and encouragement, kids will view tracing as a game. Scratch out letters on a frosty window or munch through alphabet imprinted leaves to get to a shiny red apple! Quality screen time for kids! The countdown to Halloween is on and there's no better way to get ready than by learning to write numbers 1-10 with the help of a big hairy spider. 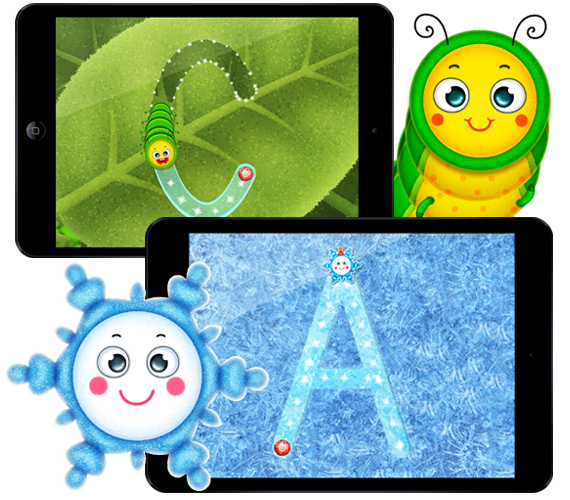 Handwriting made fun for kids with funny animated characters, multi-sensory auditory and visual feedback while writing and built-in mini-games which motivate kids to continue their learning. Multiplayer educational and fun board game that the whole family will enjoy! 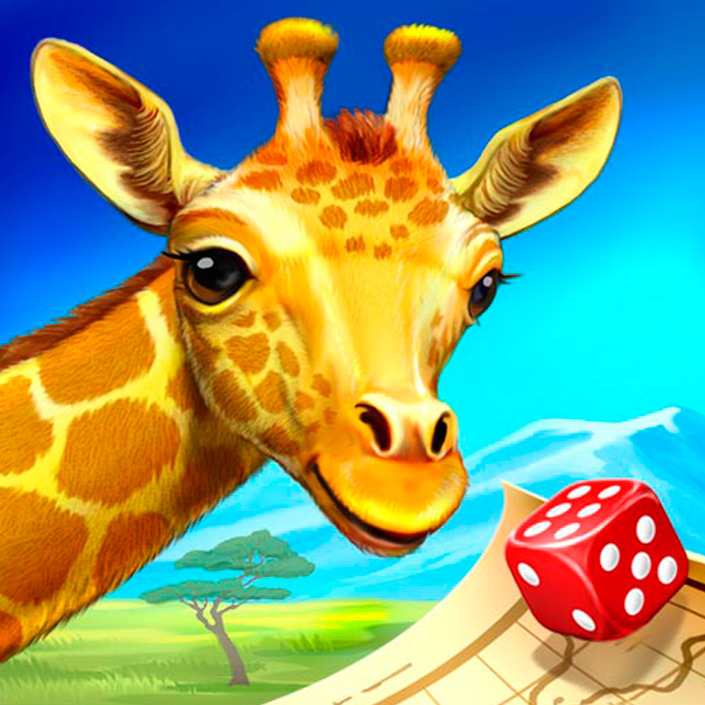 Collect 7 photos of forest animals and be the first to reach the finish to win! Multiplayer educational and fun board game that the whole family will enjoy! 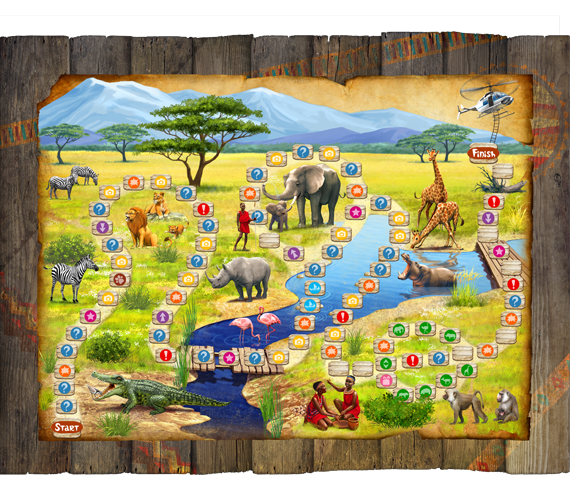 Collect 7 photos of African animals and be the first to reach the finish to win! 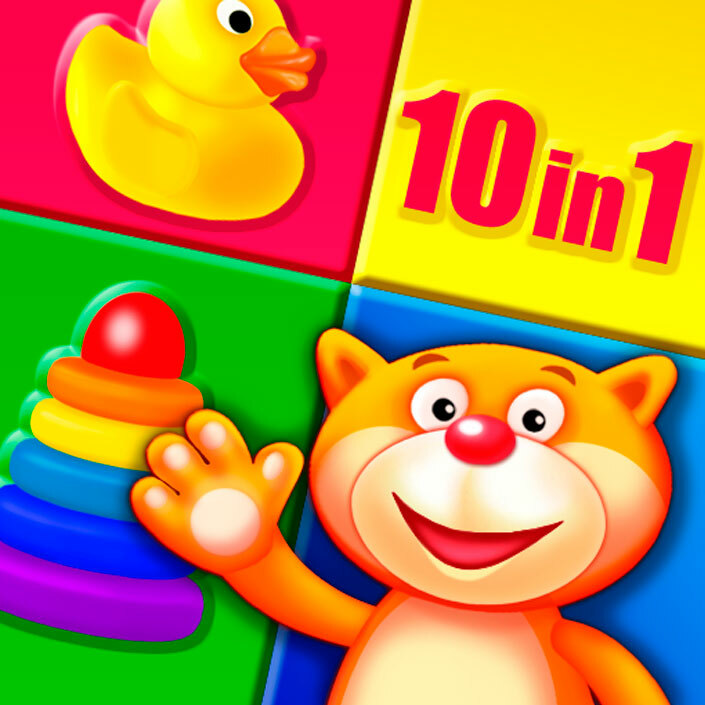 Toddlers and kids from 2 to 7 will have fun with this really engaging cube matching game. Just swipe the cube and tap to rotate it and reconstruct the whole picture. 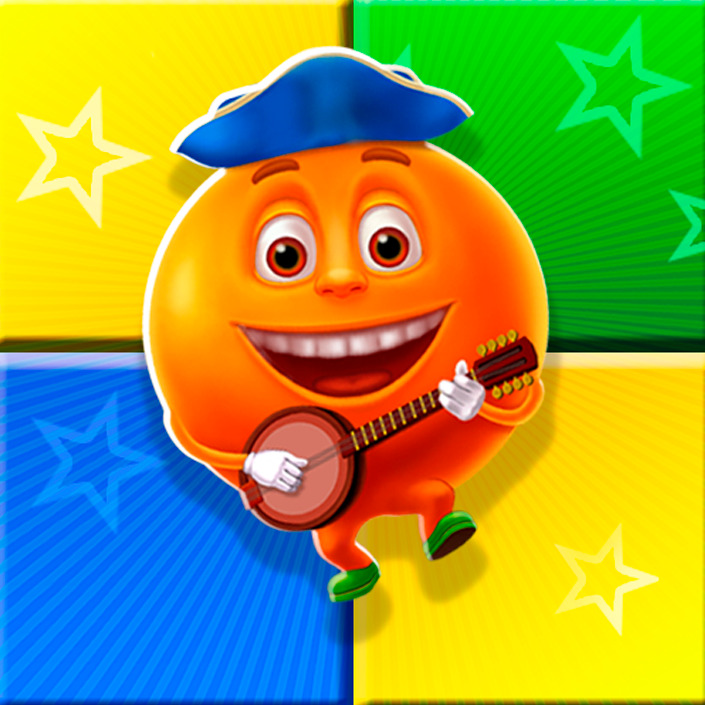 Watch every matched fruit dancing as a reward and a real fruit disco as a grand prix! 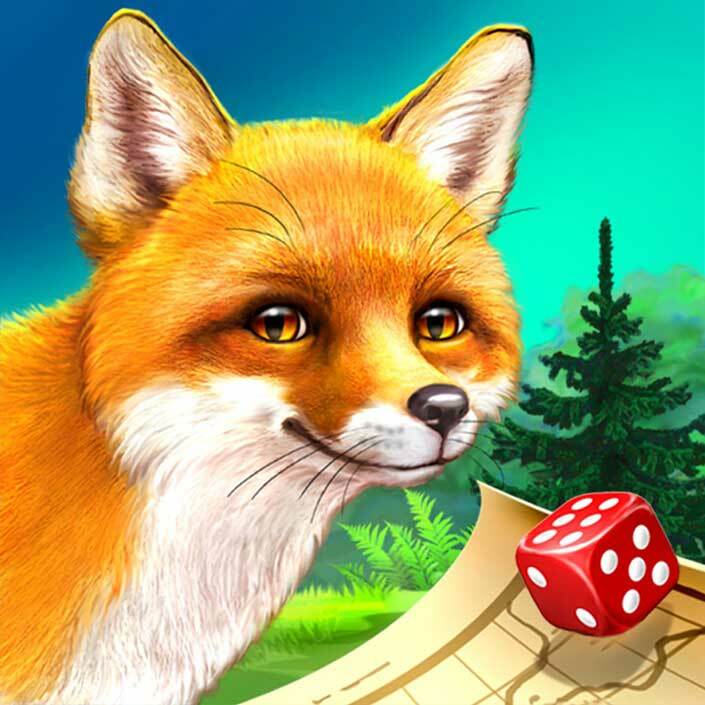 A board game with a magical JUMANJI-type vibe that has a whole lot of fun animal facts to learn! The quest is to capture photos of seven different animals before making it to the finish.Watch out however, or you may get caught up the river without a paddle. To earn equipment for situations on the trail, you must answer questions that you are asked along the way or be lucky enough to land on a bonus spot! There are more than enough twists, turns and surprises to keep all the family interested and entertained! This is a game that allows children (and adults) of different ages and ability levels to play on an equal playing field. It’s also easy to pick up and play, making it suitable for a long road trip or your next family game time. 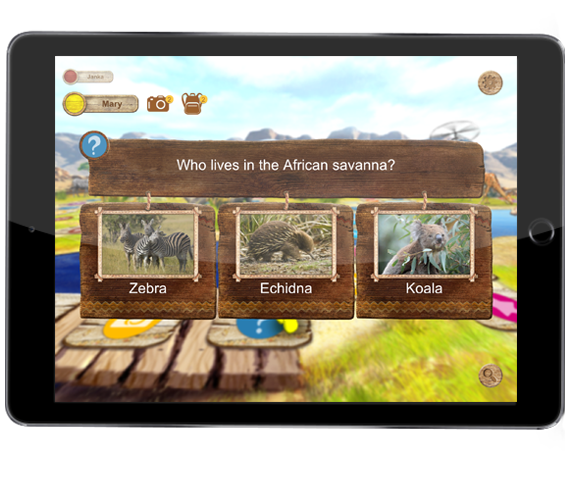 Endless learning opportunity through 350+ trivia and funny facts about African animals. 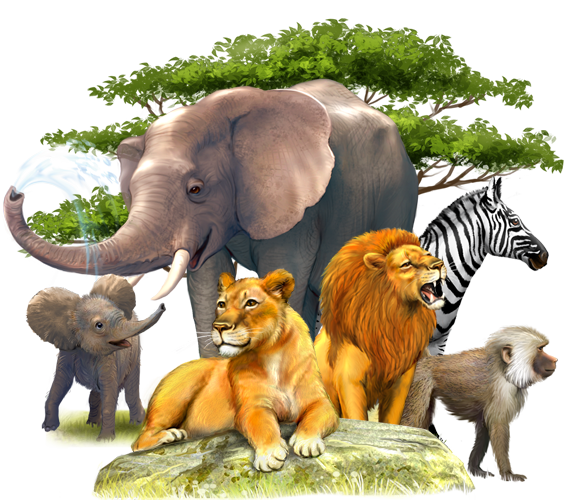 You can also set the difficulty level between players making it easy to balance out age differences and basic knowledge of African fauna. The graphics are beautiful and have a real African feel. 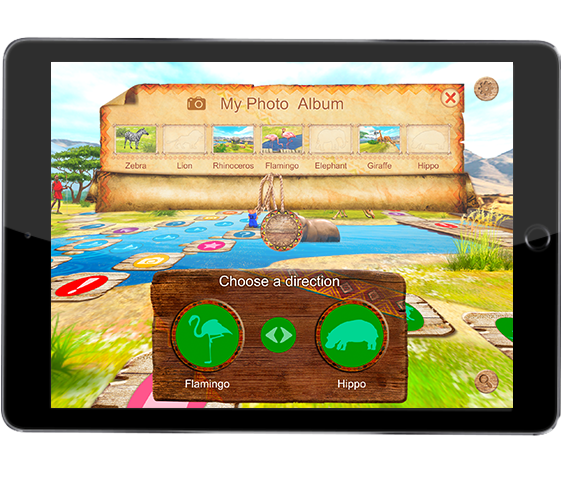 Everything from the Lion and Rhinoceros that greet you on the main screen to the wooden “stepping stones” takes you straight to Africa. 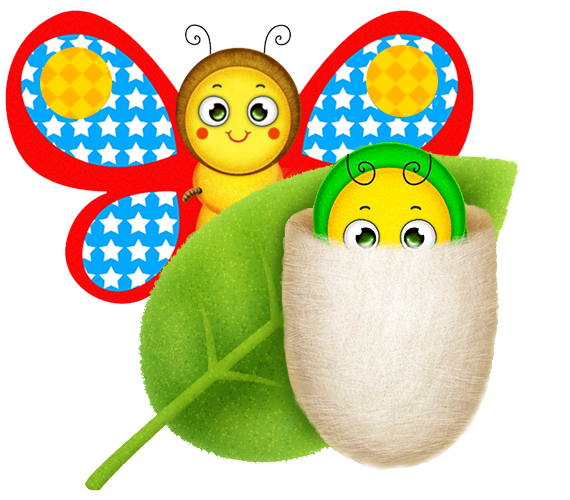 Let a fat juicy caterpillar or smiling snowflake teach your child to write letters! If you experience technical problems with our applications, please, fill in the form or e-mail us. Kindermatica: creating apps that teach!